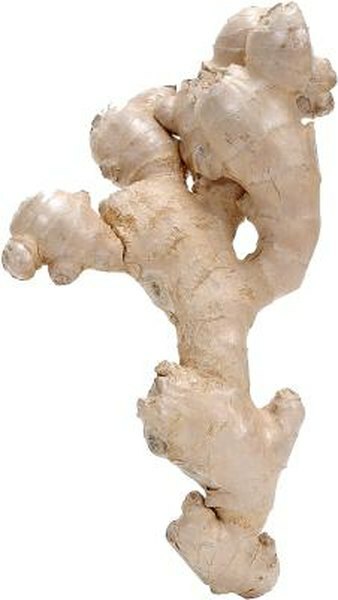 Acne is an inflammatory condition, which makes dietary changes to control inflammation essential, according to Nicholas Perricone, a dermatologist and author of “The Acne Prescription.” Ginger is well-known for its anti-inflammatory compounds, however, there are no studies proving that drinking ginger tea can alleviate acne. You’ll have to try it for yourself to see if it improves your skin. However, consult a dermatologist for more advice on how to treat your particular acne condition, keeping in mind that you should not use ginger medicinally for acne or other conditions without first consulting a doctor. Ginger, which is an underground stem or rhizome, contains several inflammation-fighting chemicals such as gingerols, shogaols and the enzyme, zingibain. With the naked eye, a dermatologist can see the signs of inflammation in acne pimples, such as redness and swelling. Inflammation is particularly severe in cystic acne, which is characterized by tender, swollen, pus-filled cysts. Although there are not studies on ginger’s effect on inflammation in acne, there are many studies on its effect on inflammation in other conditions such as arthritis and type 2 diabetes. In one study published in the “International Journal of Food Sciences and Nutrition” in 2011, researchers found that gingerols and shogaols, inhibited inflammatory processes in diabetes. Another benefit of ginger tea is that it can improve insulin sensitivity and lower blood glucose levels. When blood glucose levels are high, so are insulin levels. Insulin increases inflammation in your body, which can aggravate acne, according to Mark Stengler, a naturopathic doctor and co-author of “Prescription for Drug Alternatives.” A dietary approach to lowering inflammation in acne is proper blood glucose and insulin control. With that in mind, ginger tea may be beneficial. Although there’s no standard way to prepare ginger tea specifically for acne, you can prepare it as you would for general health. In other words, use enough ginger to make your tea to a strength you can tolerate, remembering ginger tea can be quite strong. The University of Maryland Medical Center recommends not taking more than 4 g of ginger daily. Exceeding this dose may cause side effects such as oral irritation, mild heartburn or diarrhea. It's best to use raw ginger root when making tea, rather than powdered ginger, as it contains more of the active ingredients that may benefit acne. Consult a dermatologist or your family doctor before drinking ginger tea for acne, especially if you have a medical condition, such as diabetes, high blood pressure, or gallstones. Ginger can thin your blood, so seek medical advice if you have a bleeding disorder or you’re taking blood-thinning medications such as warfarin.